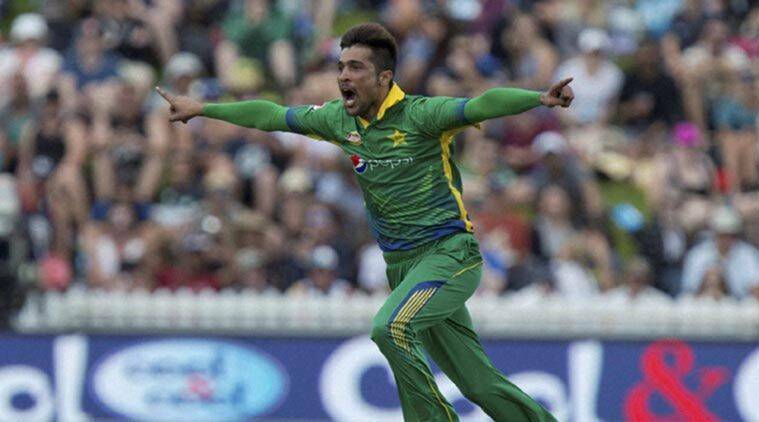 Mohammad Amir revealed the name of the most difficult batsman to bowl to and also about the bowler whom he loves to face. Who is your favourite sportsman outside cricket? If you could win a trophy in sport other than cricket, what would it be? If a movie is made about you, who would you like to play that role? One record you will love to have? I want to have three hat-tricks across all formats. Who is the most difficult batsman to bowl to in the current era? Steve Smith is the most difficult batsman to bowl to in this era. How do you like to kill time? I prefer watching movies in hotel. Which cricketer has the best hairstyle? I like my hairstyle alot but if I have to pick one, it would be Shahid Afridi’s hairstyle. If you could bowl to one player from history, who would it be and why? Brain Lara because I feel he was the toughest batsman to bowl at in that era. Which workout do you find the most boring? If you could have been reborn, who would you like to be born as? What is the latest Bollywood movie you have watched? Which is your favourite cricket ground around the world? My favourite ground is The Oval because I have a lot of memories on that ground. What is that one rule you would like to change in cricket? I would scrap the free-hit off no-balls. What is more difficult- fatherhood or bowling to Virat Kohli? Fatherhood because it demands a lot of responsibilities. If you could play a prank on one of your teammates, who would you pick? Lendl Simmons who is a part of Karachi Kings because I feel he is very funny and plays pranks on him. What is the first thing you put in your suitcase when you pack for a tour? I first keep Spikes in my touring bag. Do you idloise anyone outside cricket? I like people who have fought against the odds and have achieved something. For example, Stephen Hawking inspired me a lot. How different are Pakistani fans from others? Pakistan fans are crazy about cricket. Who would be that one bowler you would want face while batting? I would like to face Mitchell Starc. What is that one shot you don’t like being played against you? I hate when a batsman plays a pull shot off my bowling. If you could watch that one match from history, what would it be? I would like to watch the 1992 World Cup final. This is the kind of passion for which you can give up on anything and everything. It is the love for Pakistan.